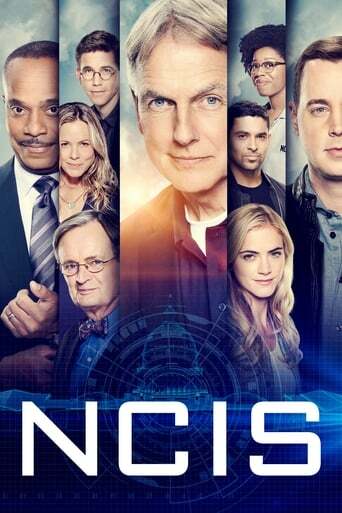 When a Navy Lieutenant is killed on his way to a private meeting with the President, the NCIS team must determine if the murder was part of a recent stream of muggings in the area or a targeted hit to keep intel secret. The Secretary of the Navy assigns the NCIS team to a joint terrorism task force after a Naval research scientist is murdered and the lead suspect is wanted by the Russian government. 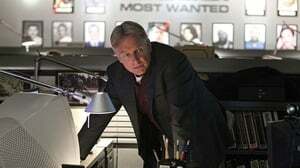 In order to get a jump on the case, Gibbs has DiNozzo run interference with the leader of the task force, FBI Agent Leia Pendergast. During a joint Coast Guard and NCIS training exercise at sea, Gibbs and CGIS Agent Borin spot a deceased man overboard, who is discovered to be a missing crew member from a ship 60 nautical miles away. Upon boarding the ship for questioning, Gibbs finds himself on a vessel that has been commandeered by pirates. The NCIS team must determine if the murder of a Navy commander's wife is linked to her profession as a therapist or an act of terrorism after finding the commander's name on a Jihadist target list. Meanwhile, the team discusses Halloween costumes and Tony's recent dating habits. After investigating the murder of a retired Master Sergeant, the NCIS team uncovers a fraudulent charity that preys on those searching for missing military personnel. Meanwhile, Bishop agonizes over the results of her probation evaluation, and Tony contemplates adopting stray cat that followed him home. 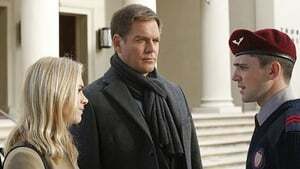 While stuck at the Dulles airport due to inclement weather, DiNozzo, Bishop and her husband Jake work an NCIS case involving an elevated terrorist threat at Northeast airports during the Thanksgiving travel surge. Jamie Bamber guest stars. The NCIS team consults with three cyber-terrorists they imprisoned after a city-wide Internet shutdown the week before Christmas. Also, McGee reflects on the case and Gibbs' infamous rules as he pens a heartfelt letter to his father. The NCIS team searches for a home-grown terrorist after a rescue mission in Syria reveals an American was involved in the capture of a social worker. 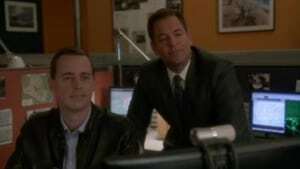 Meanwhile, McGee and Bishop question DiNozzo’s unusual behavior. Gibbs and the team investigate when a Navy lieutenant who is set to be the first openly gay servicemember to receive the Medal of Honor is murdered. Also, as his wife's due date approaches, Palmer prepares for fatherhood with an NCIS baby shower. Rocky Carroll makes his directorial debut. 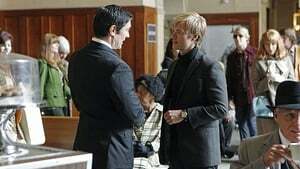 DiNozzo returns to the military academy he attended as a teen after a murdered Marine, who was an alumnus of the school, is found clutching the photo of a current student. Meanwhile, Bishop and her husband invite Gibbs and the team for a special dinner. The NCIS team suspects Gibbs' arch-nemesis is behind an explosion at a global terrorism summit. 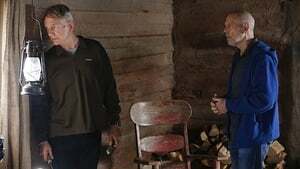 Gibbs elects to sit out the investigation in order to help a grief-stricken Fornell, whose life is on the verge of imploding following his wife’s murder. A covert identity created for one of Gibbs’ undercover cases from 20 years ago resurfaces when a murder victim is found living under the alias. 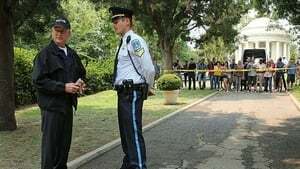 Evidence in an NCIS murder case reveals a rare painting on loan had been swapped for a fake, prompting DiNozzo, Sr. to share his knowledge and contacts of the black market art world with the team. The murder of a petty officer sparks a lead in a 40 year old airport bombing cold case that Gibbs and DiNozzo have been assigned to for the past two years. Also, McGee is jealous that he was not previously briefed on the cold case. DiNozzo is partnered with his girlfriend ATF Special Agent Zoé Keates after evidence reveals that the murder weapon in an NCIS case was originally purchased for the controversial ATF sting operation “Operation Fast and Furious.” Also, Anthony DiNozzo Sr. returns to town for a special dinner to meet his son’s girlfriend. 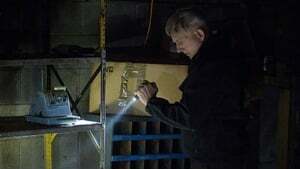 The NCIS cyber case turns into a united global effort after evidence confirms “The Calling,” an international terrorist group that recruits children through the internet, has been purchasing S-bombs off the black market. 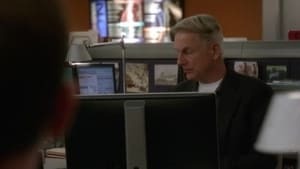 NCIS feverishly investigates a global terrorist group that is recruiting teens via the Internet, following a deadly bombing overseas that results in an emotional and surprising loss for the team.